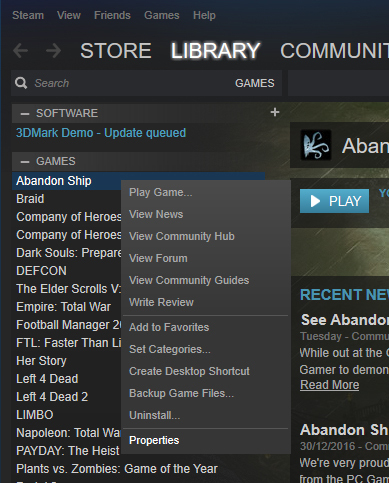 This page will explain how to set up and run a Beta Branch in Steam. 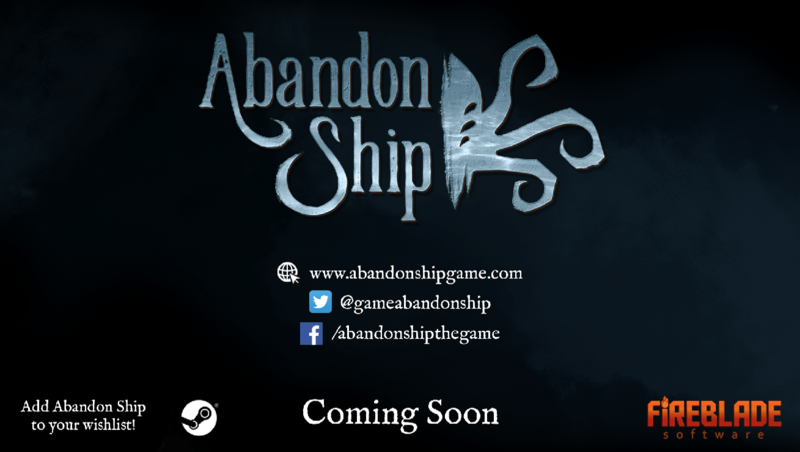 You will have been sent a Steam key for Abandon Ship. 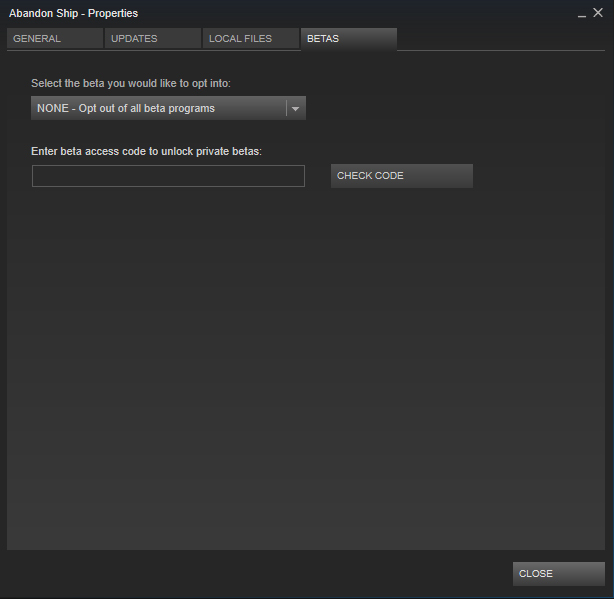 To activate it, log into your Steam account and along the top left of the Steam window is a row of options. 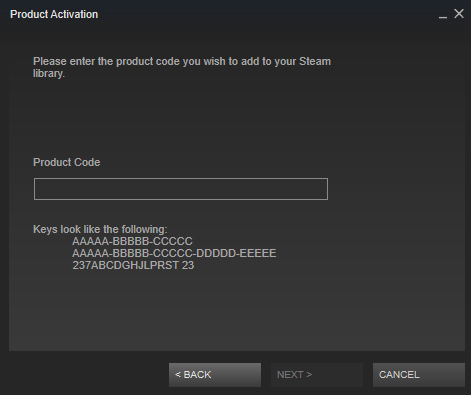 Enter the Abandon Ship Steam Key that you have been sent in “Product Code” field and press the “Next” button. If you ever see this screen, you are running the incorrect version of the game. In order to run the correct version, you will need to run a Beta branch. You will have been sent a Beta Branch Password. Enter this into the field and select “Check Code”. A success message should appear. For the purposes of this document, we are using the “internaltest” branch. This will not be available to you. You will have a special branch with a different name. 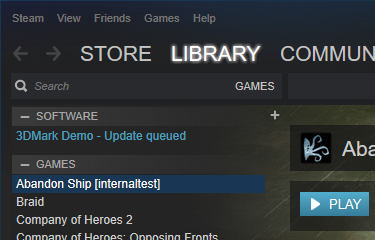 Once you have selected the correct branch, return to the Library in Steam. 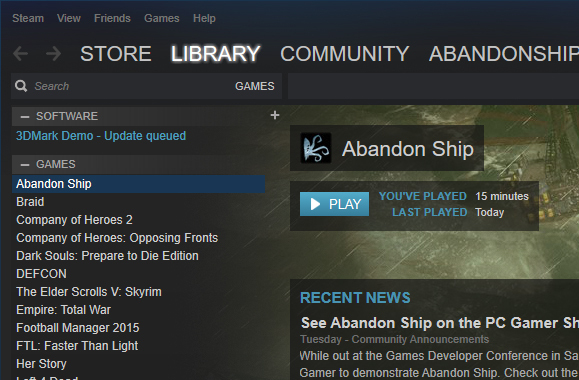 Once in this format, you will be able to play the correct version of Abandon Ship. If you experience any technical difficulties, please email gburchell@firebladesoftware.com for assistance.